When you are working in commercial real estate sales and or leasing, you really do need to watch the time on market factors that apply to your listing stock. You should also differentiate the time on market issues between open listings and exclusive listings. Through this tracking process, you can improve your ratios and conversions. Essentially you can and should monitor your listing activities and marketing results at all times. You can then see where things can be improved given the trends of the property market, and the levels of enquiry coming into your brokerage and to you personally. Understand what people are looking for and how that will be reflecting in today’s level of property enquiry. Adjust your marketing accordingly. The exclusive listings should achieve a far shorter time to achieve a positive sale or lease result. There should also be a higher conversion factor with your exclusive listings given that you would be spending more time with that listing stock. Every listing should be regarded as special and unique. You have spent considerable time and effort in promoting your professional services to the location and to the clients that you serve. When you have captured and converted a new listing, the work has just begun. 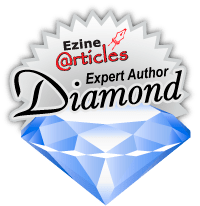 Ultimately the best result that you can achieve with any listing is exclusivity, and that exclusivity should be followed by a reasonable commitment of the client to vendor paid marketing funds. Some agents and brokers struggle with converting vendor marketing funds. The fact of the matter is that any client serious about selling or leasing the property should commit to the property marketing process in some way or form. Understand the competing properties in the local area – review the location and the surrounding streets to understand the properties that you are competing against and how your pricing or rental structure compares. You may need to shift your marketing strategies and the methods of sale or lease to adjust against those other nearby listed properties. Talk to local business owners – when you release the property to the market, talk to local business owners in the location and the precinct. Approach people systematically, personally and directly. In that way you will get plenty of feedback when it comes to property listing relevance and regional change; that raw market intelligence can be valuable to you when it comes to establishing your database and improving levels of enquiry for the future. Some businesses and some local tenants will at some stage be looking to change location and or potentially purchase in the area. Ask the right questions and identify the upcoming movement. Circulate Brochures locally – use the details of the property listing and create a series of simple marketing brochures for local distribution. Those brochures can be circulated as you connect with more people in the location. Always attach your business card to your brochure as you hand it around to people locally. You never really know where the brochure will go; your business card is likely to be retained. Approach Local Property Investors – if the property is tenanted and if it is for sale, then there will be a reasonable chance of attracting the interest of local Property Investors. Understand the tenant mix, rental profiles, net income, and property performance potential to pull in the property investors. Promote the property locally – most listings will be selling or leasing to local people (yes, I know there are some exceptions). 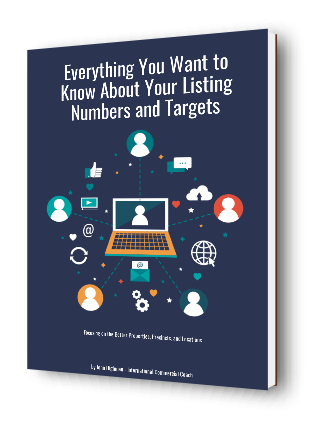 Understand just who you should be personally targeting when it comes to your listings. Make the calls and create the meetings to spread the word about your good listing stock. Research the best methods of sale or lease – there will be indications from the local area that will tell you the best ways to promote a listing. Get away from generic marketing and become very specific and targeted as you look to get the message out. So there are some good things to do with property listings when it comes to reducing the time on market factors in any commercial real estate sale or lease situation.